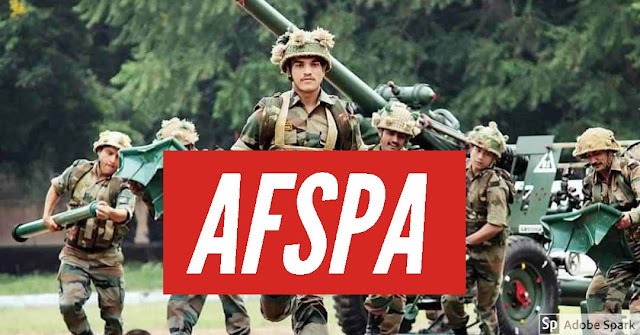 •The Armed Forces (Special Powers) Act was reenacted in 1958 to bring under control what the government of India considered ‘disturbed’ areas. •Once declared ‘disturbed’, the region has to maintain status quo for a minimum of three months, according to The Disturbed Areas (Special Courts) Act, 1976. •search houses and destroy any property used by insurgents in disturbed areas. •It also provides army personnel with safeguards against malicious, vindictive and frivolous prosecution. the AFSA has been enforced in 6 states till date viz. •The army is trained for Borders and external aggression, if they are called for help in internal issues they have to be secured with the law. •It ensures the safety of the common people, who have to live under the fear of lawlessness in the area. •Able to tackle the situation and assist police forces. •It is considered inhumane to have people forced to live in curfew-like conditions for their entire lives. •The act curbs the secular freedom of many people as they have to face suspicion and discrimination on the basis of their religions. •There have been several cases of human rights violations such as rapes and encounters, during the enforcement of the Law. •she was kept alive with forced nasogastric intubation.